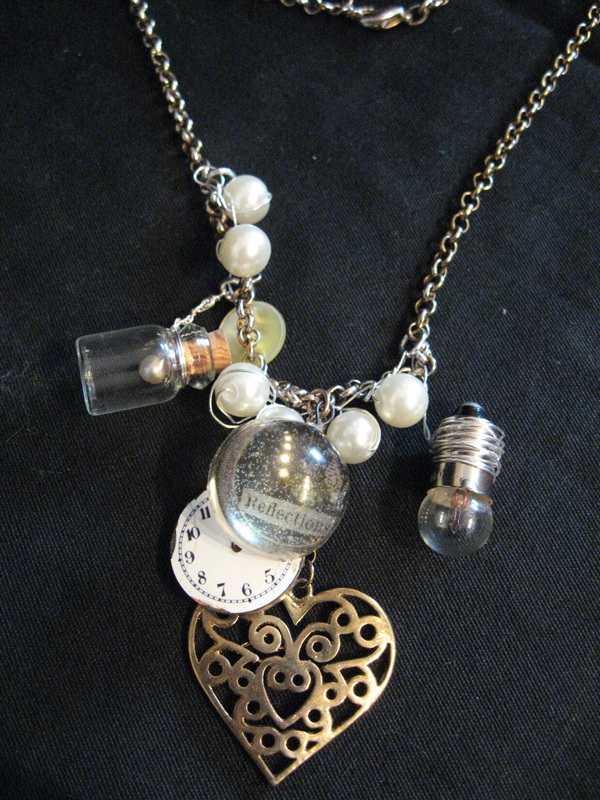 This jewellery is recreated from found jewels, objects and treasures as well as new fixings and beads. 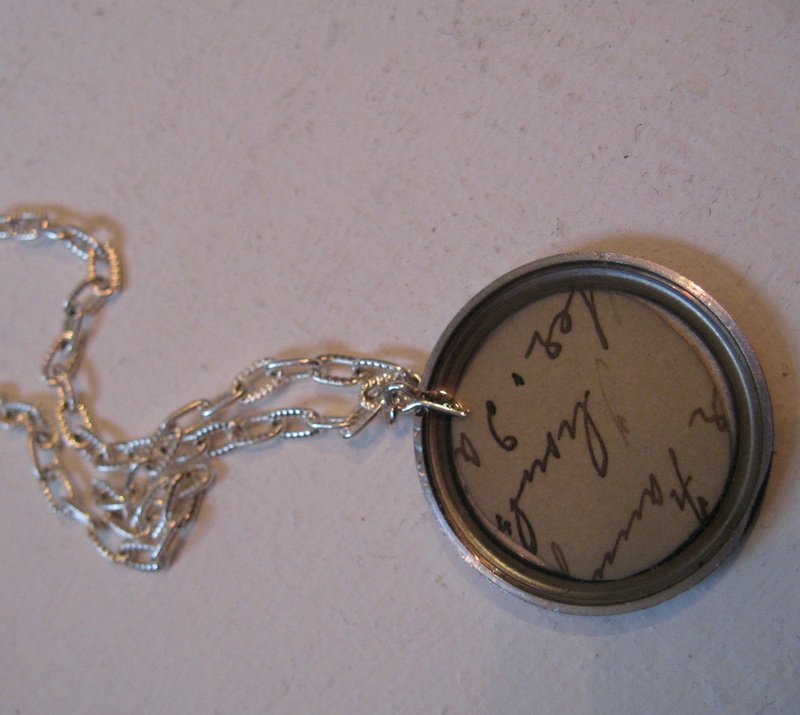 Many of the necklaces have hand cast resin attachments with words and flowers or mechanical objects frozen inside them. 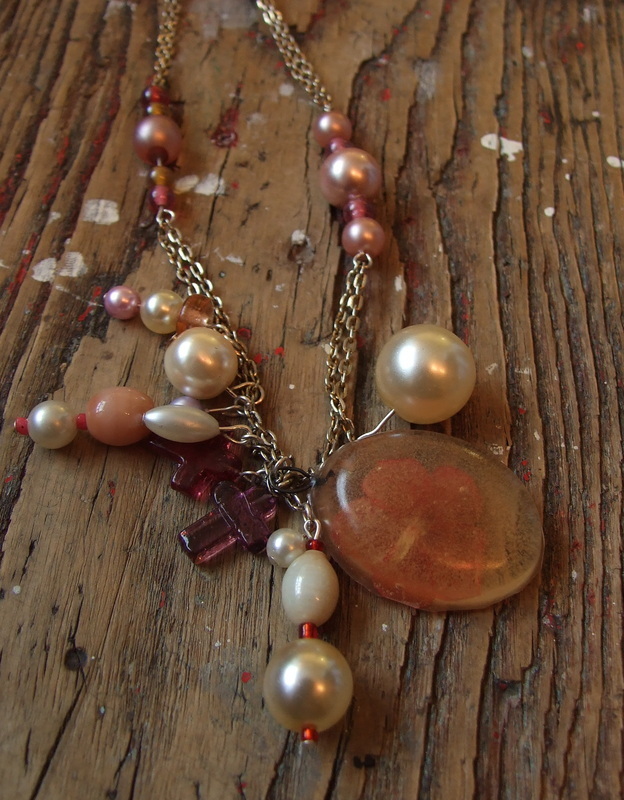 Because Lost and Found jewellery recycles many old objects the “imperfections” become part of the work. 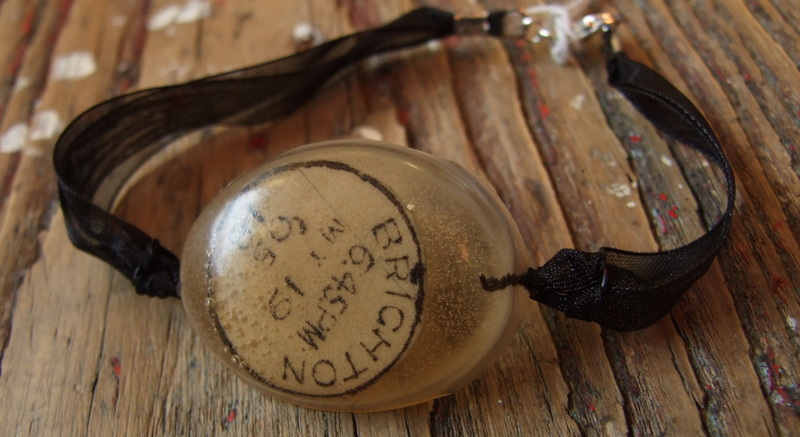 Lost & Found jewellery is available exclusively through The Gallery, each piece is unique so please visit us to buy.